This is the English translation from the Czech original that I wrote the other day. After posting the original article, I got a lot of request translating it to English. Especially that my sifu Chris Collins asked for it, so he can read it. 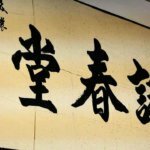 Why European Wing Tsun schools differ from schools that teach in Hong Kong? Our school is open only a few months, but teaching model attracted a lot of new fans for the Chinese martial art of Wing Tsun (Wing Chun) Kuen. Even students who have studied this style of Kung Fu many years ago, found their way to us. Many of them are very surprised that the very concept of training and fighting differs a lot from what was once practiced in Europe. There are many reasons that might contribute to these differences. I do not dare to write about all of them here. It would be a very extensive article and a waste of time talking about politics, which many European schools promote. From such topics I’ve grown up and I’m not interested to continue to discuss why one school pays annual members fees, exams and many other nonsense, and why the others not. But I’d rather share with you about why I’m through with any Wing Tsun organizations or associations (mainly European and American) and decided to train directly in Hong Kong under Sifu Christopher Collins, a former Marine, a direct student of Grandmaster Leung Ting and Cheng Chuen Fun . I have been practicing martial arts since the age of 6 years. I am from a generation where perhaps all my peers went through training Kodokan Judo, Shotokan Karate and Aikido. And I am not an exception. I also trained traditional Southern Hung Gar. When I was roughly 11 years, I read an article by Sifu Ivan Rzounek in the Warrior magazine, which talked about Chinese martial arts Wing Tsun Kung Fu. Ivan described his training in EWTO under the command of the German Keith R. Kernspecht, who was the first European who invited Grandmaster Leung Ting to a seminar in Germany in 1976. An article about this martial art was very exciting and I was looking for a way that I can train this martial arts. Since that time there were not many schools WT, I found my first teacher around the age of 15, when I saw the flyer about WingTsun by my first sihing Jindra Kopecky in Decin. I immediately came and started to train Wing Tsun under his supervision in Decin three hours every Tuesday and three hours in Ústí nad Labem every Thursday. Soon I also used to go every weekend to Varnsdorf and trained with my sihing and other students for about 12 hours each weekend. It was a time when I loved Wing Tsun and EWTO very much and when training in Wing Tsun was still not in any altered form. This changed in around 1999 considerably. I can still remember a seminar with Sifu Oliver Koenig, when he began to teach instructors of WT “the new programs” grandmaster Kernspecht borrowed from the British bouncer and bodyguard. They named this training program the “Blitz-Defence”. Even then I did not like it and I began to look for what to do next. Slowly I was preparing to leave for the US where I wanted to train under the supervision of Sifu Emin Boztepe. The master of Wing Tsun was a very fearsome warrior who probably understood the principles of Wing Chun and did not add any extra stuff like his European teacher. 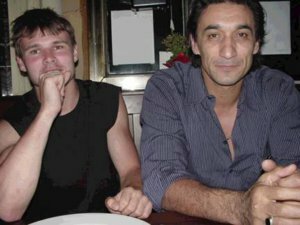 In 2001, I finally managed to travel and train with Sifu Emin Boztepe. I even had to ask permission Sifu Oliver Koenig, if I’m even allowed to train with him in the States. Everything was so strange about it, but he gave it to me. When I first met Sifu Emin, he was completely different than what I have expected. He was bigger and stronger than I thought! But he was very friendly. Even today I remember a few parties. Trainings were also much more explosive than in Europe. With Emin the trainings were quite aggressive. 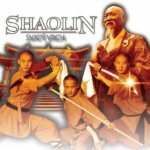 Which helped me to get a bit more confidence and explosiveness in the use of techniques of Wing Chun. But what I started to wonder was that every time I trained with Sifu, I had no chance against him. It was very frustrating, no coaching on why or what to do. The only thing I heard was: “Brett, you’re like a robot, relax!” … Nothing more, nothing less. Everything changed when I saw Sifu Chris Collins from Hong Kong. Around the summer of 2012, I saw a video on YouTube from Sifu Patrick Gavelin from Sweden as they train directly in Hong Kong with master Chris Collins. I was really impressed and contacted Patrick via Facebook. We had a long conversation. I found out that he trained directly with K.R. Kernspecht in EWTO and achieved higher Practician Grades. I also found that he was also training privately with his sihing Emin Boztepe for 13 years. I was just glad that someone understands me and that we have a lot in common. I was very surprised, as he talked about Chris. Just what would you say that the great master degree holder decides to throw over 30 years of training and starts again from the beginning and from the teacher who trains WT for only half of the years ??? I was very surprised. Many masters have very big ego and do not want to give up what they have built, even though they know that what they teach is really wrong. Here I am excited to see that someone finally had a chance to understand a simple concepts of Leung Ting Wing Tsun. It just seems that many European masters have different thinking. They want to compete with other schools and thus try to teach what is currently in. This way they are hoping to keep their students for as long as possible. But that destroys the essence of martial art they practice. Wing Tsun then no longer is Wing Tsun, but something completely different. 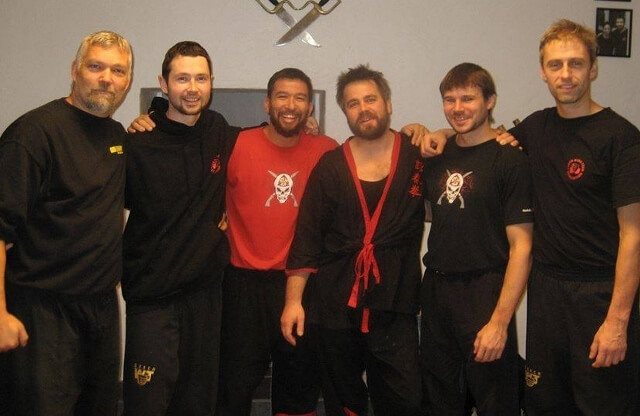 After prolonged decision making I saw on Facebook that two of my former younger kung fu brothers (Jiri Drnec and Zdeněk Kobrle) went to Hong Kong and trained directly with master Collins. I immediately contacted Zdenek, who teaches in Prague and other cities in the Czech Republic. List of his schools teaching Hong Kong WingTsun here. This was the best moment in my whole career Wing Chun. Zdeněk was very helpful and showed me a few details that I nobody ever showed me before. I was really excited and wanted more. But Zdeněk assured me that if I want to learn WT properly, I would have to travel to Hong Kong otherwise I will still be doing and teaching WT the wrong way. I was very lucky I guess, because Zdeněk planned seminar with Sifu Chris in Prague. It was at the end of November 2013. I couldn’t have missed it. It was a chance that might never be repeated! I must say that for me sifu Chris have made very big impression. And on several levels. From the first moment I was introduced to him, he was very friendly. It was clear to me that his passion is WingTsun. His willingness to spread this beautiful martial kung fu in an open nature is what I was looking for in my past teachers, but in vain. I felt like this was my best Wing Tsun dream. He did not trained with the typical “European” type system – two hours seminar, an hour lunch break and two hours of practice. But coached the typical “Hong Kong” model type – no pause, no hours. He was just there and finished very late or until there remains only the last student. I laughed. Some seminar participants asked me to I ask sifu Collins, when there will be break, or the hour when the seminar will be over, because there is the last bus taking them home. And Chris’ answer??? No pause if they want to go home, let them go. Nobody here will force them to stay. And those who remain? Well, more to learn! I first found out what is the right approach of a true master to his students. 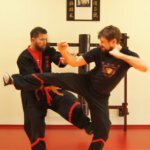 Also I have discovered that for 18 years I practiced something that could have similar looking techniques to Wing Chun, but it was not Wing Chun. I thought that as a teacher who trained under many of the leading “European masters”, I’m good. But now I learned for sure that I know nothing. When I trained free Chi Sau with sifu Chris, I was stiff as a rock. No clear reflexes, nothing was working for me. The only thing I felt was fatigue, shortness of breath and utter exhaustion. While Sifu Chris was fine. Even using only one hand and chewing a gum. I really felt that I am just complete beginner. How could this be possible after 18 years of training? All these years in Europe they were telling us that European Wing Tsun is improved and is much better than the Chinese Wing Tsun. So why one from Hong Kong is so much more better and very capable fighter? Wing Tsun is not about how many years you practice, but how many hours you put into this workout! I have heard this motto for the first time from my former sifu Emin Boztepe. But now I got it. I was so excited that I flew the very next week to Sweden for the next 4 days of training with Sifu Chris. I get to know Patrik Gavelin personally and it was really nice meeting him. There was also Jirka and Zdeněk so I was happy to see that the quality of WT in the Czech Republic will go up. It is not true that the European WingTsun is better than the Chinese … is just different! And for the following reasons. The European model aims to practice model situations and drills a combination of techniques that may or may not occur in a real situation. Hong Kong WingTsun is based on principles and ability to respond to any change without warning. The European model has a lot more techniques combinations and takes longer to learn. It is more complicated, because there are more scenarios for self-defense situations one need to practice. The Hong Kong model trains natural reflexes, which can get under the skin rather quickly. It is more simple, but we from Europe have problems to understand what is simplicity. The European training requires the use of greater force and more energy is spent. Hong Kong training is aimed at learning to borrow the force from the opponent using the least possible effort. After 18 years of training under European based masters I dare say that I can compare the two. Sifu Chris started training WT in 1996. That is completely the same year as me. This is the first time I can not say that he is better because has been practicing longer than I have, as it was the case with all other masters. Chris was lucky enough to train only in Hong Kong under Leung Ting and Cheng Chuen Fun. 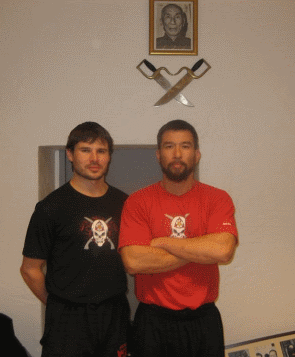 I trained only with the European masters such as Oliver Koenig and Emin Boztepe. If the European model of teaching was better, it would mean that I’d be better than him. But the opposite is true. That’s why I’m glad I finally opened my eyes. I am very glad that sifu Chris Collins accepted me as a pupil and that our students can learn Wing Tsun, as was put together by Grandmaster Leung Ting. We will teach only in Hong Kong methods, where there are no programs or degrees, but puts the emphasis is put on understanding the ideas and concepts of Wing Tsun. Our students are not required to collect grades and exams only for the purpose of continuing their studies. The students can practice every day and it is up to each student how often they will practice. Again, I note here that it does not matter how long someone is training, but how many hours they will put into their workout years. Therefore, our school does not limit the number of hours the students can attend per week. Just who wants to practice, they will practice. We will continue to travel to Hong Kong and learn from the right source from the lineage Yip Man – Leung Ting – Cheng Chuen Fun – Chris Collins Wing Tsun. And we teach this art without any changes or “improving”. After all, if it works subtle Chinese (for over 50 years), who happened to have also only two arms and two legs, it must work for us as well. No need to make any changes or improvements. Let each student choose for themselves what is working for them. If you are interested in training Hong Kong Wing Tsun, as it is taught by our sifu Chris Collins, just fill out the form below for a free introductory lesson.